This work includes white water safety and rescue for canoeists, kayakers and rafters. This is a completely revised new 2006 2nd edition now in full colour throughout. What's new in the 2nd Edition? This work includes: full colour and new photos throughout; the text has been completely revised and numerous small but significant improvements have been made; the principles of safety and rescue have been unified and the mneumonic C.L.A.P. adopted. 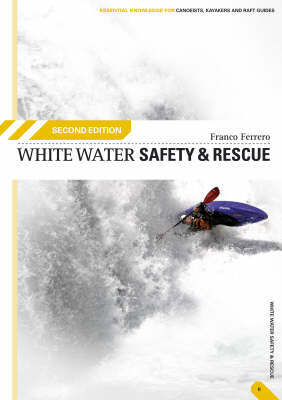 This is to make it easier to remember them and fall in line with current practice in the teaching of white water safety. The rescue section has been reorganized to fit in more closely with the TRTTG 'low to high risk' model. The rafting sections have been completely rewritten by Geraint Rowlands. The chapter 'Planning a Descent' has been extended to cover factors to be considered when travelling abroad. One-handed signals as used by Paul O'Sullivan in his chapter in the BCU Canoe and Kayak Handbook have been adopted.